The ideal solution to home and al fresco dining. This chambray tablecloth is made of 50% cotton and 50% polyester and can be wiped clean, preventing any lasting marks. 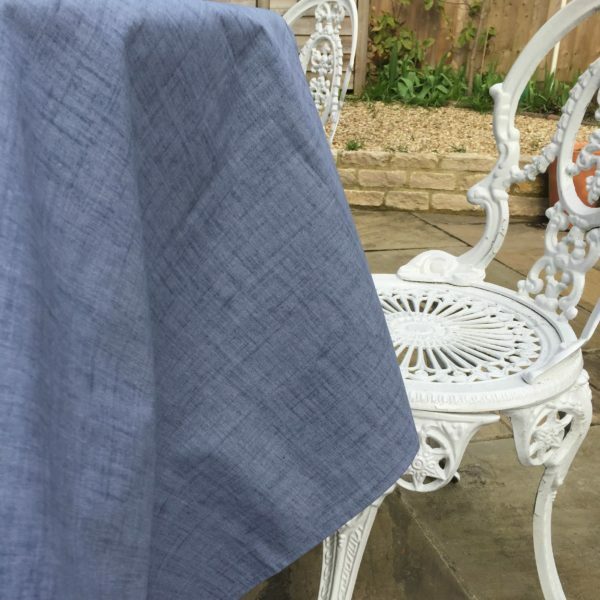 With a stitched hem and a natural drop, it hangs beautifully over the edge of a table, offering a stunning base from which to create table displays. Each cloth is washable up to 40 °C and can be ironed from the back. One rectangular size 200cms/79″ x 150cms/50″.